Robots and humans saving the day, working together the Rescue Bots way! 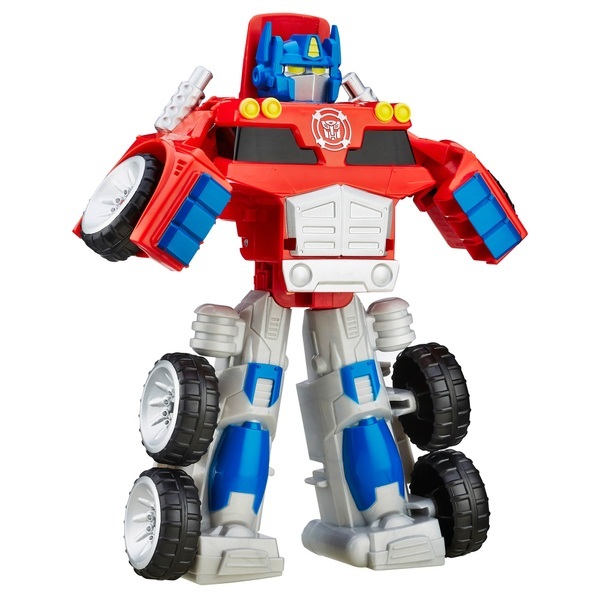 Little heroes can imagine rolling to the rescue with one of their favourite Rescue Bots figures. They can pretend to go on daring missions and helping the Optimus Prime figure roll to the rescue. When an emergency strikes, convert the Optimus Prime figure into an awesome semi-truck! The day is saved thanks to the Rescue Bots and great teamwork!